With influences ranging from roots to R&B to world music, the thoughtful lyrics and reflective melodies coming from this indie pop duo will surely become staples of many playlists. 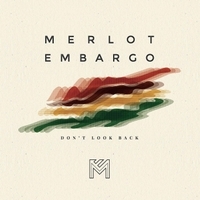 "Don't Look Back" is the debut album from Los Angeles pop/rock duo, Merlot Embargo. Here's what it's not: programmed beats, thick layers of synthesizers, or songs assembled from samples. Instead, "Don't Look Back" is a journey through both the serious and the silly, with songs made the old-fashioned way: memorable hooks and thoughtful lyrics, performed by a band with a deep pocket and a singer with a deeper soul. Listeners who enjoy Adele, Brandi Carlisle, John Mayer, The Beatles and other soulful, groovy artists will find a lot to love about this album.